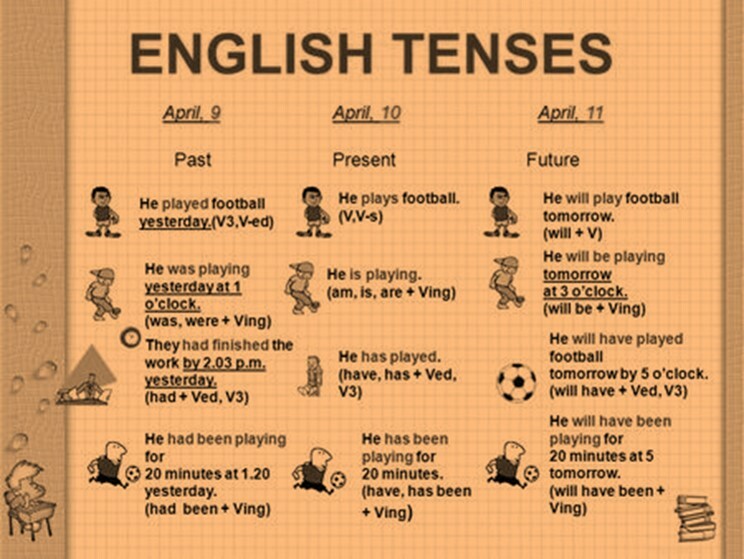 A tense is any form of a verb which allows you to show the time during which an or any action has taken place. For example, “I am eating. ", “I was eating" and “I will be eating"
Past tense: Past tense is a form of a verb, where an action or a situation has taken place in the past. For example, I was late for school yesterday. I already ate the chocolate. Present tense: Present tense is a form of a verb, where an action or a situation is currently taking place. I am eating the chocolate. Future tense: Future tense is a form of a verb, where an action or a situation is yet to occur and will take place in the future. I will be late for school. I will eat the chocolate. I will take a bath. Present Continuous, Past Continuous, Future Continuous, Present Perfect, Past Perfect, Future Perfect, Present Perfect Continuous, Past Perfect Continuous and Future Perfect Continuous. These concepts are extremely simple and I will be explaining each of them with enough examples which will clear all your doubts! Past Continuous: Past continuous tense is formed when we combine the past tense (was/were/had) with a verb’s present participle (-ing word). The baby was drinking milk from the bottle. I was running late for school. She was beginning to get anxious. 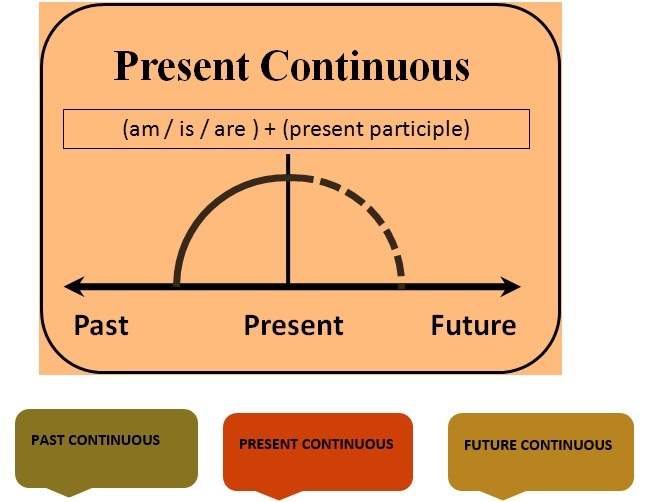 Present Continuous: Present continuous tense is formed when we combine the subject with the present participle form (-ing word) of the main verb. I am playing football today. Sam is reading a book. Future Continuous: a Future continuous tense is a form of verb tense which takes place when an action which is on-going will happen in the future. He will be feeling good tomorrow. Maria will be coming here. I will be writing a report. Next, we move on to the Perfect tenses. 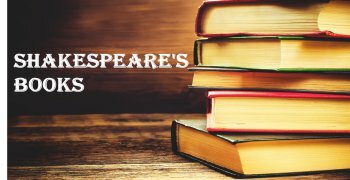 Past Perfect: Past Perfect tense is formed with the past tense form of “to have" combining it with the past participle of a verb. I had walked five miles by lunchtime. I had cleaned the stain off the door. I had saved my document on your computer yesterday. Present Perfect: Present Perfect tense is formed when we use verbs such as “have" or “has" and combine it with the past participle form of the verb. I have visited the Statue of Liberty. We have decided to visit the mall. Shira has worked in the newspapers for two years. Future Perfect: Future Perfect tense is formed when an action which is going to happen in the future. This tense gives a sense of completion to our task or whatever task is going to happen. Finally, we will discuss the past perfect continuous tenses. Past Perfect Continuous: Past perfect continuous tense is formed when a continuous action is completed in the past at some point. 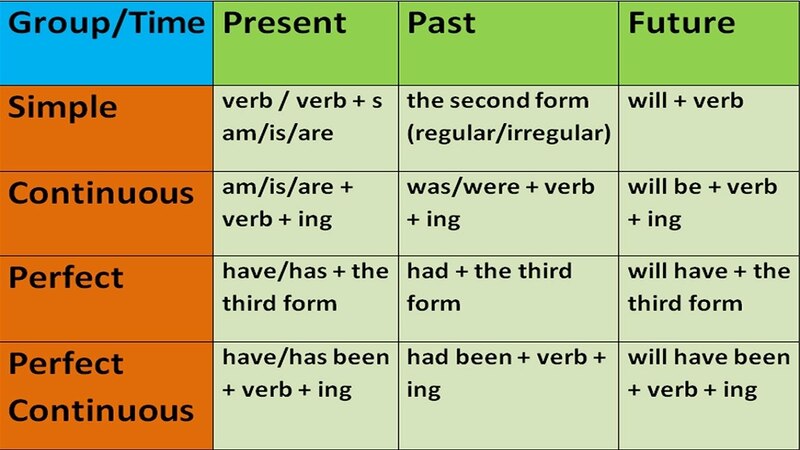 This form of tense comprises of “had" and “been" along with a present participle of the verb (-ing word). I had been working in the garden all morning. She had been watching the movie for two hours. I had been applying for jobs since 22nd August 2010. 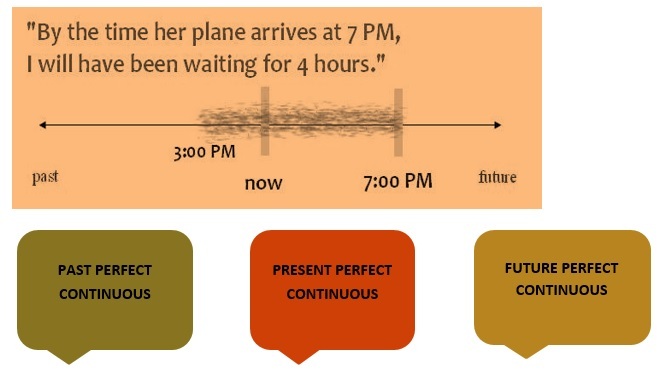 Present Perfect Continuous: Present perfect continuous tense is formed when an action or a situation that had started in the past and continued in the present or has stopped only recently. This form uses the modals “has" and “been" along with a present participle of the verb (-ing word). She has been listening to music for two hours. She has been living in Delhi since 2001. I have been waiting for you for three hours. Future Perfect Continuous: Future perfect continuous tense is formed when an ongoing action or a situation will complete in the future. This form of tense uses modals such as “will", “have", “been" along with the verb participle (-ing word). They will have been living in Delhi for five years. The children will have been sleeping since 11 PM. They will have been writing their homework for two hours. We hope this article helped you in learning a little more about tenses and don’t forget to Enjoy your path to mom,Relise every moment. The following passage contains errors in the use of verbs. Find them and replace them with the appropriate verbs. The mother asked the eldest boy to (1) went to the market and fetch some groceries. The boy (2) was rushing to the market and got everything the mother had asked him to. A few guest were (3) supposing to arrive at their place later in the evening. The mother (4) was assigning tasks to each of the boys. The boys, although lazy, (5) were managing to do everything the mother had asked them to, on time. The mother asked the eldest boy to (1) went to the market and fetch some groceries. The boy (2) was rushing to the market and got everything the mother had asked him to. A few guests were (3) supposing to arrive at their place later in the evening. The mother (4) was assigning tasks to each of the boys. The boys, although lazy, (5) were managing to do everything the mother had asked them to, on time. The mother asked the eldest boy to (26) went to the market and fetch some groceries. The boy (27) was rushing to the market and got everything the mother had asked him to. A few guest were (28) supposing to arrive at their place later in the evening. The mother (29) was assigning tasks to each of the boys. The boys, although lazy, (30) were managing to do everything the mother had asked them to, on time. From the given alternatives, choose the most appropriate answer for "change in voice".Eg. We were reciting the poem. ---> The poem was being recited by us. The noise woke up the baby. ---> The baby _______________ by the noise. My grandmother had prepared delicious cakes and tarts this afternoon. ----> Delicious cakes and tarts _____________ this afternoon by my grandmother. They were eating salted potato chips. ---> Salted potato chips ________________ by them. Can the guard take these buckets upstairs? ---> Can these buckets ___________ upstairs by the guard? When did you complete your English assignment? ----> When _____________ English assignment completed by you? 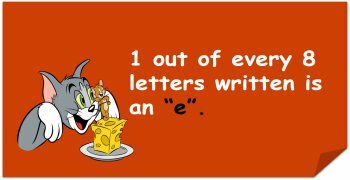 Did you know that 1 out of…...?